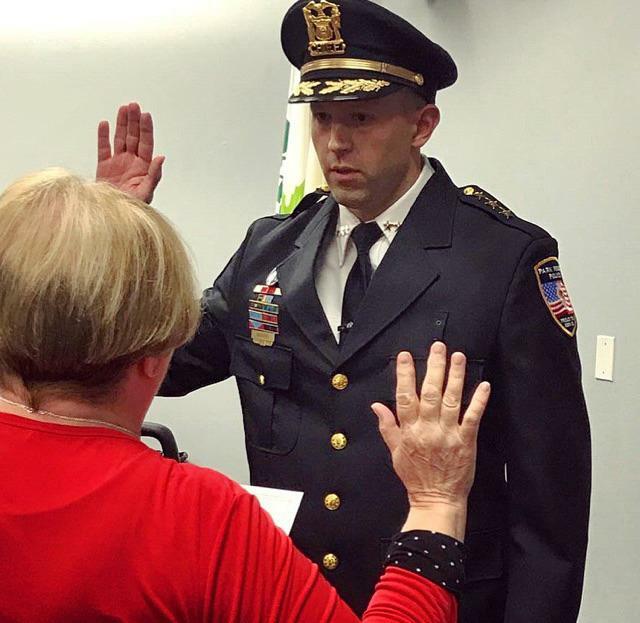 Park Forest, IL-(ENEWSPF)- Newly-minted Park Forest Police Chief Christopher Mannino sent warm greetings and an introduction to the citizens and business owners of the Village shortly after he was sworn in on October 23. Chief Mannino sent the introduction via the PFPD’s Facebook page. As Deputy Chief, he was the social media guru for the department, along with a few other responsibilities, of course. As Deputy Chief, he oversaw field operations. He is a graduate of the 237th session of the FBI National Academy, according to the Village website. Additionally, he served as Public Information Officer for the Park Forest Police Department. It was in this capacity that Chief Mannino engaged with social media, from the lighthearted to the serious information the public needed, or had a right to know. Chief Mannino is in his 21st year with the Park Forest Police Department and has a Masters Degree in Political and Justice Studies. The following is Chief Mannino’s complete introduction post of October 26, 2017, on Facebook. We offer our congratulations to the new Chief. Earlier this week, I had the honor of being sworn-in as the 12th Chief of Police in the nearly 70-year history of the Park Forest Police Department. I wanted to take the opportunity to introduce myself to you, beyond the resumé list of achievements, which mean nothing if they are not backed by a true commitment to the community. 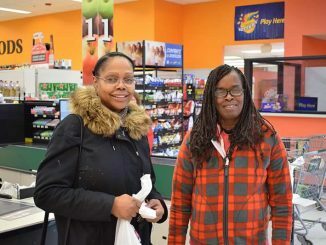 While I grew up next door in Richton Park, my best friend as a child lived on Waverly St., so I have many childhood memories of Park Forest, from building forts in a Park Forest back yard, to shopping with my parents at Sears downtown, to getting my favorite summer treat at the 7-Eleven that sold the most Slurpees in the country. Between my brother, sister, and I, we have attended all three Rich Township high schools. And as an adult, I have called three different addresses in Park Forest home. 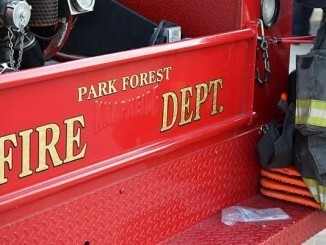 However, my connection to Park Forest, and those of anyone who serves in public safety, go much deeper than childhood memories. In fact, one could call the relationship a police officer has with the community he or she serves an intimate relationship. Policing lets one peer into the darkest parts of society. The first homicide I investigated as a detective was an infant murdered the day he was born by his teen-age mother, and I still privately acknowledge his birthday every July. 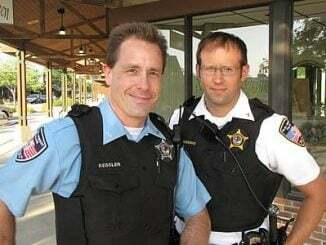 As a new supervisor, an otherwise quiet midnight shift was punctuated by a deadly traffic crash on Sauk Trail where two young women lost their lives, and the smell of transmission fluid still takes me back to that night. A particularly heinous child abuse case I investigated stays with me after all of these years, and I still wonder how he is doing. And March 19, 2016, as a Deputy Chief I found myself having to give press briefings after one of our newest and brightest officers had been shot in the line-of-duty, and I found myself able to hold everything together only until I found the privacy of my office. But policing also allows one to see the very best in society as well. I’ve driven down a dark and otherwise unremarkable street at 2 am to see a blue porch light shining, a bright reminder that we are supported. I’ve witnessed my fellow officers risk their lives- not in an abstract way, but in very real and visceral ways- to keep the citizens they serve safe on more occasions than I can count. I’ve arrived on traffic crash scenes to find uninvolved passerby’s stopping to render aid and help injured people out of traffic. I was there the night two of our firefighters kicked in a door to a burning home and pulled a man out, by themselves, because their shift mates were on other calls. I’ve spoken to victims who’ve overcome their trauma and emerged stronger, and to offenders who’ve truly reformed and turned their lives around, an example that all of us have the opportunity to change and are not defined by our mistakes. And I witnessed the unity of a community and the overwhelming show of support you gave us after Officer Jones’ critical injury. My commitment to you is to lead this incredibly dedicated and talented group of men and women who comprise the Park Forest Police Department to aggressively address crime and safety issues in our community, but to do so in a way that is both procedurally just and compassionate. We do not care the color of your skin, in which language you dream, by what name you call God or if you call to God at all, or who you love. We are here to protect you, to serve you, and it gives us great pride to be able to do so. And it gives me great pride to be able to do so with the men and women who wear the Park Forest Police Department uniform. Thank you, and I look forward to working with you in the years to come.